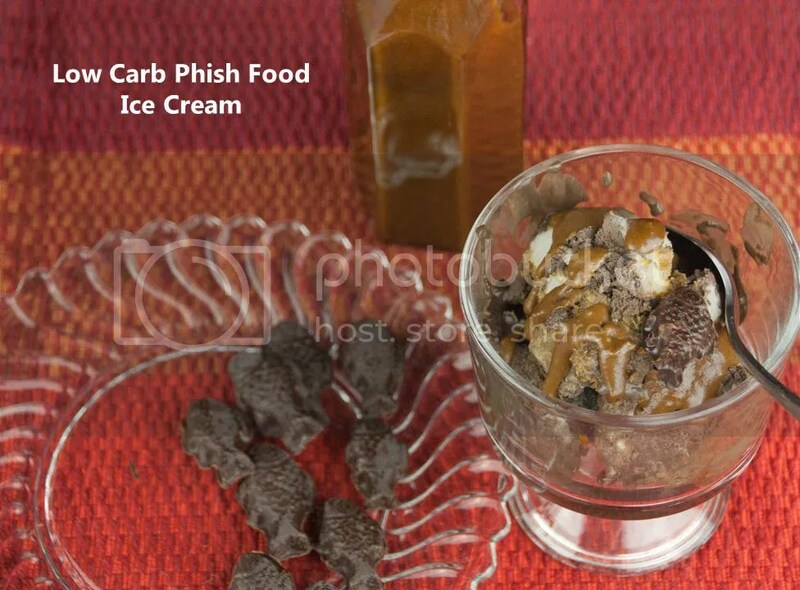 Phish Food Ice Cream Anyone?! Megan’s birthday is coming up in a couple of weeks and I’ve been trying to think of something special to make for her. The one thing that she really misses is Ben & Jerry’s Phish Food ice cream. Have you had it before? Can you blame her?! It is chocolate ice cream with tiny fudge fish and they swirled in caramel sauce and marshmallow cream. Yum. As I was trolling Pinterest for inspiration, I can across a Death By Chocolate Ice Cream Recipe. It struck me that I already have a Sugar-Free Caramel Sauce Recipe. All I would need would be the fish and a marshmallow fluff recipe. Could I find one on the worldwide web? YES! Okay, it is more like a marshmallow and meringue had a baby but close enough. I had all the tools to pull this together. The result was….AMAZING! Much like the title, the ice cream is heavy on the chocolate and rich. When combined with the caramel sauce, dark chocolate fish, and marshmallow cream, heaven. Did I mention that it is SUGAR FREE??? Because it is so decadent, you don’t need much to satisfy chocolate craving. Truth be told, I couldn’t wait for Megan’s birthday to share her birthday treat with her. Surprise, this guy can’t keep a secret to save his life! In true fashion, I couldn’t wait to share it with all of you! I hope that you enjoy this little scoop of Heaven as much as we did! To start, put together an ice bath. Take a large bowl and fill it with ice water and then simple place a medium size bowl in the ice water. Combine heavy cream, 1 cup of almond milk, Special Dark cocoa, and Swerve in a saucepan over medium heat. Insert a candy thermometer onto the side of the saucepan. Whisk all ingredients until incorporated and the mixture reaches 170F. Once you have reached 170F, whisk the egg yolks in a bowl. Slowly add about 1 cup of the chocolate mixture, whisking constantly to temper the eggs. Once fully incorporated, add the egg mixture into chocolate and continue to whisk together until mixture reaches 175F and is thick enough to coat the back of the spoon. Remove from the burner and add the chopped chocolate. Wait a few minutes and stir to combine until mixture is smooth. Pour into bowl in the ice bath and let it cool for 10-15 minutes. Wrap in plastic wrap and put in fridge for 3 hours. Mix in remaining ingredients including 1/2 cup almond milk, vodka, vanilla extract, and stevia. Sprinkle xanthan gum onto mixture and whisk vigorously to incorporate. 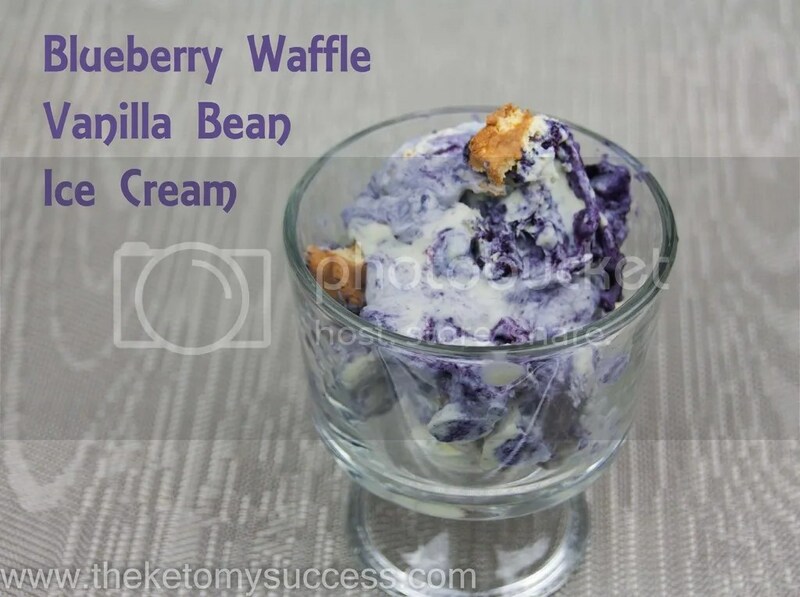 Pour mixture into ice cream maker and churn according to your machine's directions. I mixed mine for 20-30 minutes. Roughly chop chocolate bar. You can melt chocolate over a double boiler on the stovetop or in the microwave. I typically do it in the microwave. Melt the chocolate in the microwave for 30 seconds. Stir. Continue to microwave for an additional 15 seconds, stirring after each round until it is just melted . Filled the plastic fish chocolate mold with the chocolate using a spoon. Remove excess chocolate in molds with an offset spatula. Put in freezer for 5-10 minutes. Remove chocolate and repeat process using all the chocolate. Mix gelatin and cold water together in a small bowl. Let set for about 5 minutes. Bring the 3/8 cup water to a boil. Add in the gelatin mixture and continue to cook until dissolved, 1-2 minutes. Put gelatin in the refrigerator until it is the consistency of maple syrup, approximately 20-30 minutes. 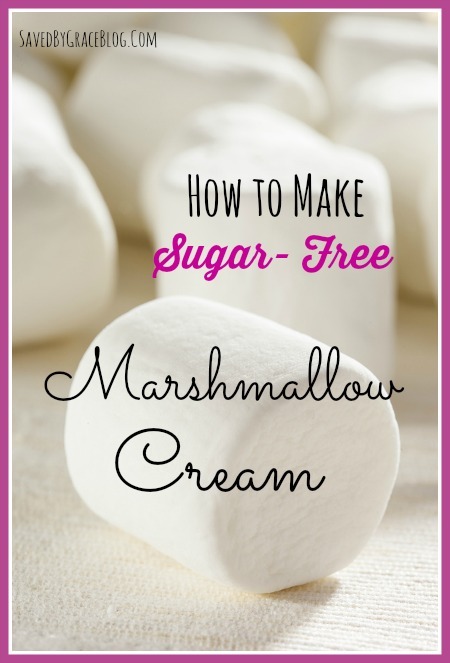 Add in the sweetner, vanilla extract, and marshmallow flavoring. Whisk to combine. Beat the egg whites in a separate bowl until soft peaks form. Slowly beat in the gelatin mixture, scraping down the sides of the bowl to ensure it is all mixed. Melt butter, Swerve, and molasses in a saucepan over medium heat. Bring to a boil and cook for 3-5 minutes. Stir mixture constantly to avoid burning sugars. Remove from the heat and add the heavy cream. Add the xantham gum and whisk vigorously to incorporate in mixture. Add salt. Return saucepan to the stovetop and boil for 1 minute longer. Let it cool until just warm and add 2 tbsp. water and 1/4 tsp additional salt for salted caramel sauce. Take two quart size containers (such as these and begin to layer the components. I started with some ice cream, then a few fish, marshmallow, and a little caramel sauce. Continue this process until you have both containers filled. Make sure that you freeze the ice cream for another 1-2 hours to ensure that everything is fully frozen. Resist the temptation to dig right in or you might have a melty mess on your hands.